To overcome populism, it is important to develop a spirit and ethic of tolerance and embrace, writes Nico Koopman. 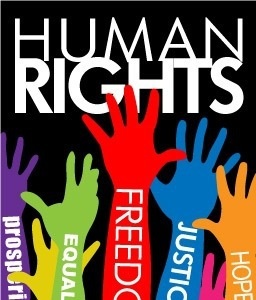 On Thursday, 21 March, South Africans celebrate Human Rights Day. The Bill of Rights articulates the type of society that South Africans yearn for. Three so-called generations of rights want to secure a life of dignity, healing, justice, freedom and equality for all. First generation political and civil rights, second generation socio-economic rights and third generation developmental and ecological rights stand in service of the dawn of a new South African society. To build a human rights culture, to fulfil and actualise these rights, and to actualise this new society, we need to foster an ethic of tolerance and embrace. The very sad killing of Muslims during worship services in Christchurch last week, is a demonstration of a culture of populism and intolerance, which leads to the destruction of rights, of humans, of life, of all the noble and worthwhile aspirations of democratic societies. A culture and spirit of populism is growing all over the world. Populism is nurtured by various factors that embody intolerance. In pluralistic societies populists view their opinion as the only right and legitimate one. Their opinion is absolutised and their ideas become idols. Their view receives transcendent, religious status. This absolutised opinion is not open to scrutiny and criticism. It is adhered to and defended in foundationalist and fundamentalist manner. It is the only, the eternal and the superior truth. This opinion, world-view and truth is advanced in anti-intellectual manner. No rational and reasonable arguments are offered in favour of it. What seems to be irrational for all people, is quite rational and reasonable for the populist. Moreover, this opinion is parochial. This means it is adhered to by a group that functions with a world-view of homogeneity and a so-called sameness-mentality. There is aversion to notions like heterogeneity, plurality, diversity, hybridity, and cosmopolitanism. Populists also function with anxiety and fear. They have the irrational idea that the so-called other constitute a threat to their wellbeing and future. The others and their legitimate plights and rights, aspirations and needs become objects of threat, anxiety and fear. The other also become objects of prejudice and hatred. To hate someone is to wish them away; is to say I wish you were not there; I wish you did not exist. So, the spirit of populism is a spirit of absolutism, idolisation, fundamentalism, intolerance, anti-intellectualism, parochialism, unwarranted fear, anxiety, prejudice and hatred. Populists generalise and homogenise those who differ from them, and those whom they view as threats to their wellbeing. They stereotype those who are different and who have different views. Specific negative traits are attributed to others. Stereotyping is accompanied by the stigmatisation of others. They are portrayed in a negative light. The so-called other is also demonised, portrayed as the devil, as evil. So easily opposition to them is viewed as opposition to evil in the world. Where the other is stereotyped, stigmatised and demonised, there they are annihilated, destroyed, murdered; and acts of terrorism against them are portrayed as noble acts. To overcome populism, it is important to develop a spirit and ethic of tolerance and embrace. Tolerance is a positive practice. It is derived from the Latin "tolere", which literally means to carry. We need a local and global ethic of tolerance, of carrying each other, of saying they ain't heavy, they are my brothers and sisters, my comrades and friends. Tolerance is, therefore, accompanied by embrace. We need a personal and public, local and global ethic of embrace, of embracing each other in all our diversity and so-called otherness. We need an ethic of embrace as we seek to jointly ensure a life of dignity and flourishing for all. In the embrace, in the diversified togetherness in homes and educational institutions, in local communities and religious bodies, sport and culture, art and the public media, in all spheres of civil society, in government and corporation, we jointly and in reasonable and rational manner work for reconciliation for all. This reconciliation implies healing of all our personal and public wounds – healing of the wounds and injuries called racism, ethnocentrism, xenophobia, classism, sexism, homophobia, ableism and ecocide, amongst others. An ethic of tolerance and embrace entails that we work together for dignity for all, justice for all, freedom for all, equality for all. Tolerance and embrace seek local and global expressions of social cohesion; social cohesion that advances the fulfilment of all rights for all, here and now – political and civil rights, socio-economic rights, developmental and environmental rights. When we commemorate and celebrate Human Rights Day, we engage in acts of remembering. We remember our vision of a society where rights are implemented in service of dignity, healing, justice, freedom and equality. We remember past and present violations of these rights. We remember, pay attention and pro-actively respond to our wounded people and wounded nature. We remember the narratives of little victories amidst so many defeats. We remember and take courage from these stories of hope – realistic hope that is not daydreaming; responsive hope that acts concretely in the world; resilient, elastic hope that can be stressed, but not broken. - Prof Nico Koopman is deputy vice-chancellor for social impact, transformation and personnel at Stellenbosch University.